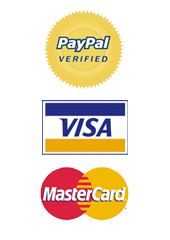 Nice back to basics retro watch this. It’s from the house of Lanco with gold and silver steel. 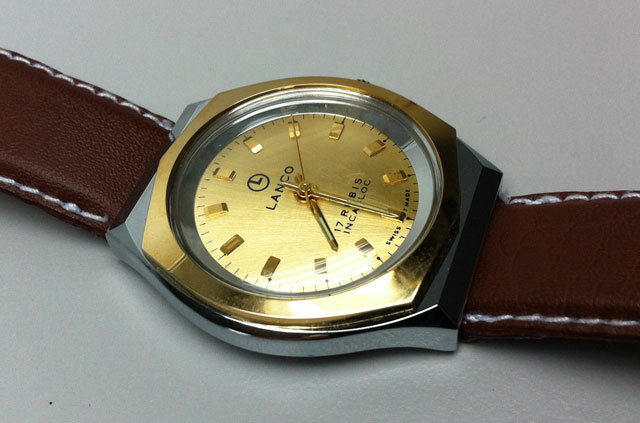 This is a classic NOS 1970’s Lanco watch, and that puts it in the “retro” category. However, it’s a very contemporary-stylish watch too. 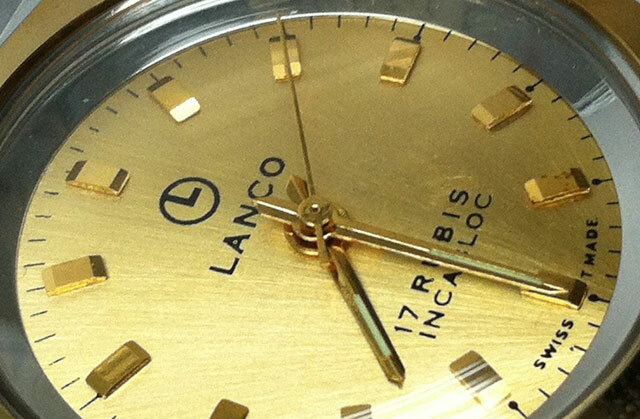 Some nice contours on the gold casing and a nice stroked gold “sunburst” effect on the actual watch face. Very subtle, but very nice. 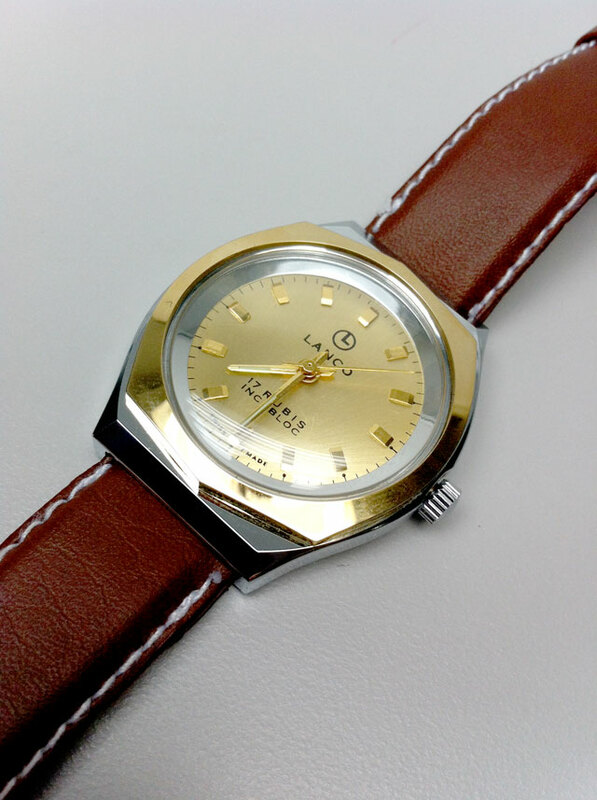 Comes on a brown leather strap, which compliments the gold and silver nicely.